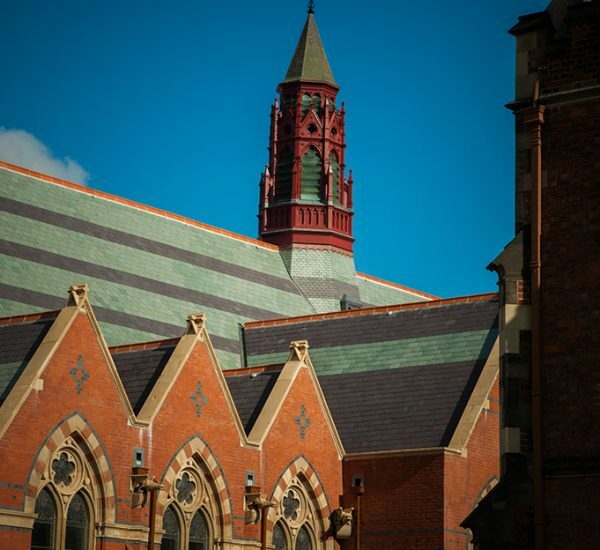 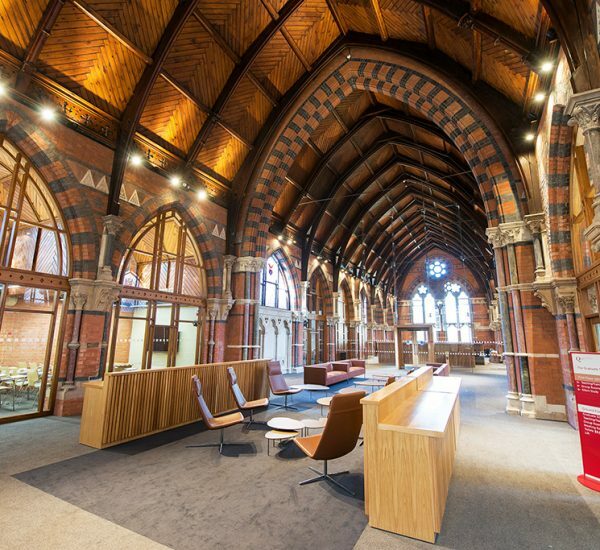 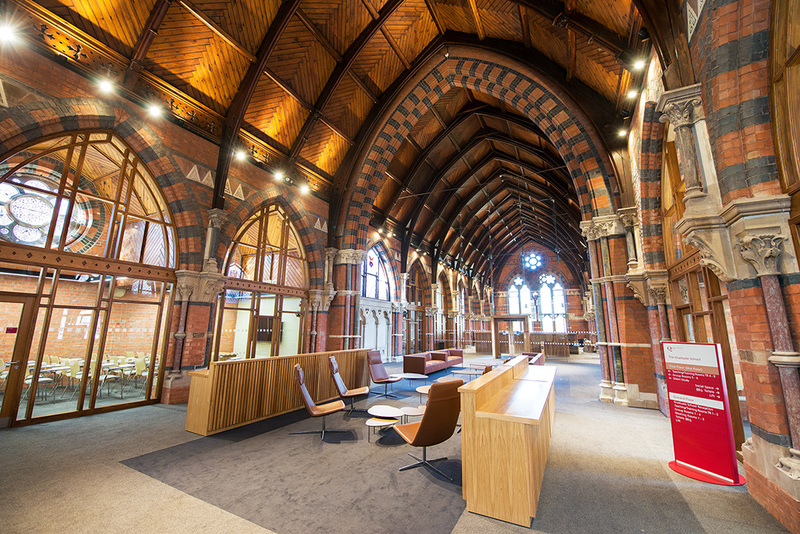 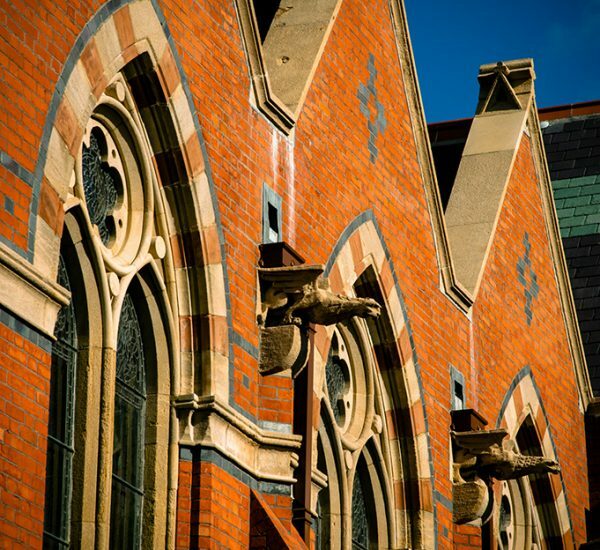 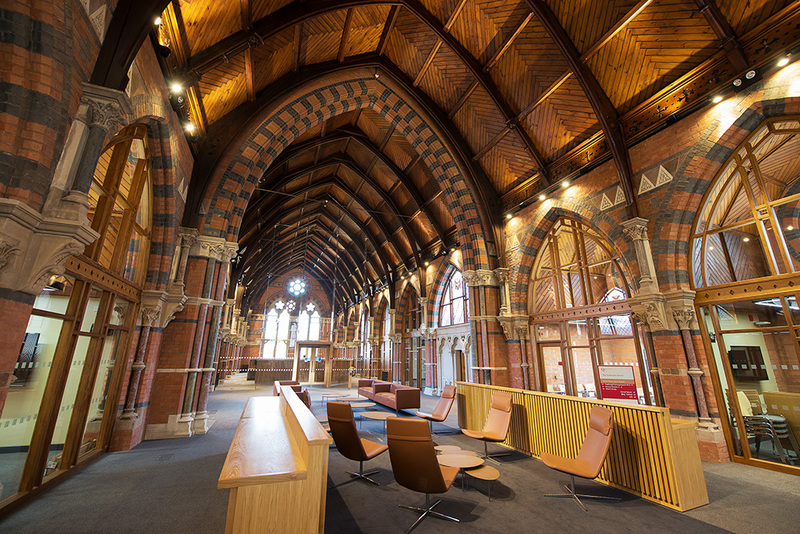 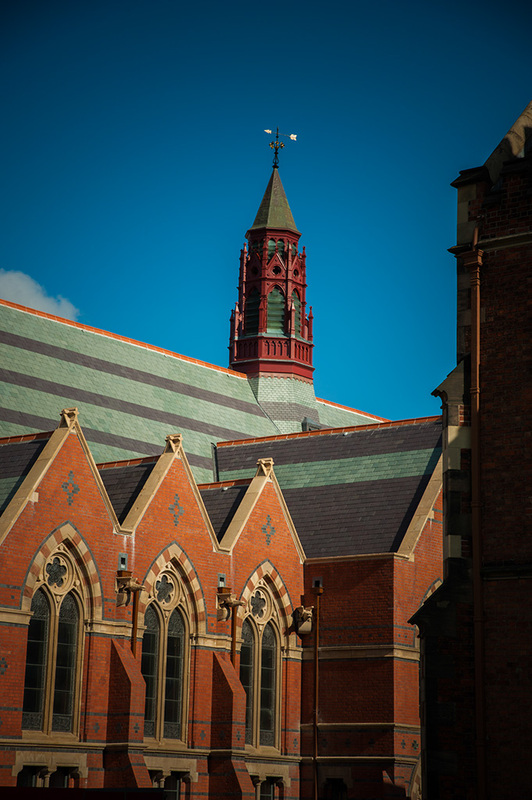 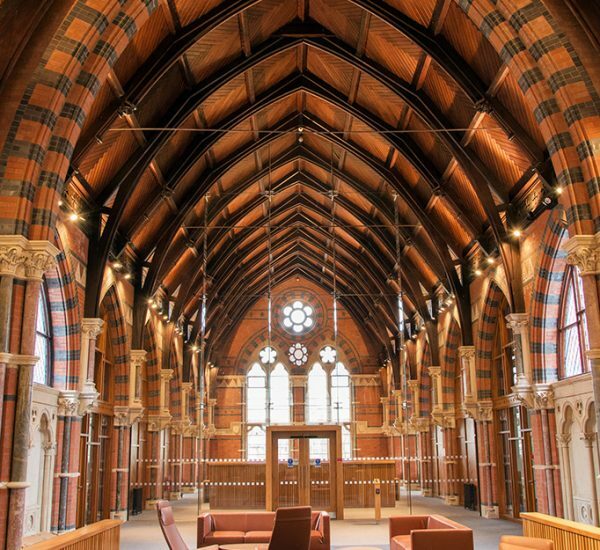 Albert Fry Associates provided full civil and structural engineering services for the refurbishment and reconfiguration of 1848 Grade A listed former library to accomodate a new Graduate School for Queen’s University Belfast. 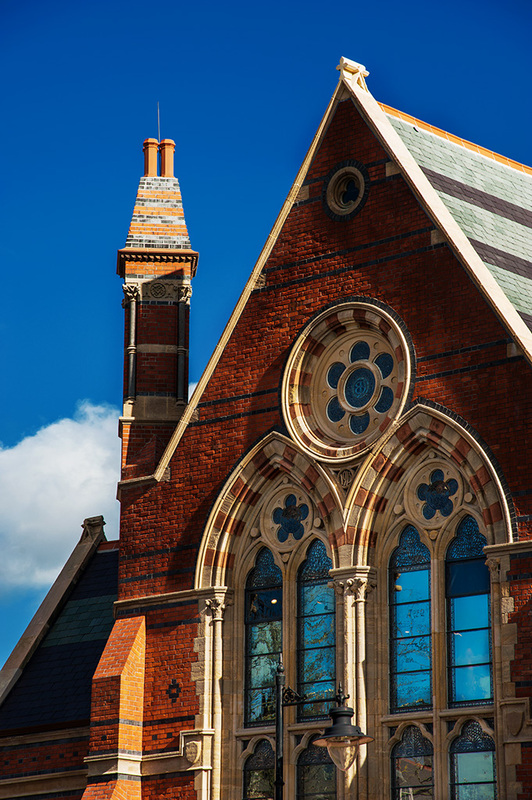 The building which was built in 1868 and again extended in 1911, both to the designs of William Henry Lynn, is a Ruskinian, Gothic style, galleried library and is presently grade B listed. 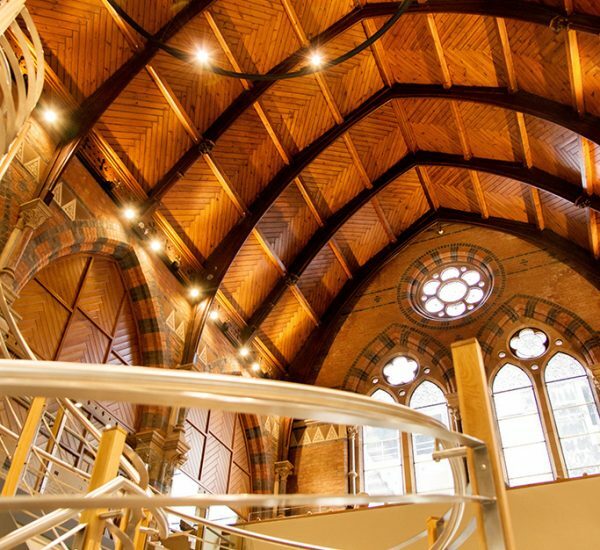 The scheme involved removal of modern, interior upper floor levels, which had been introduced in the 1950’s and 1980’s, to restore the full height gallery space and conservation works to the roof, timber hammer-beam trusses, timber roof cupola, metal windows, stone work and polychromatic brickwork. 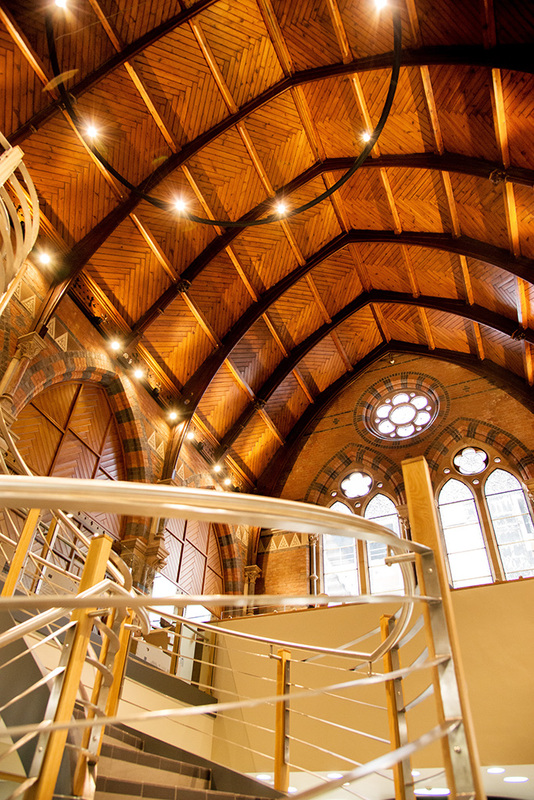 New stairs, ramps and lift were provided to provide inclusive access to the Graduate School. 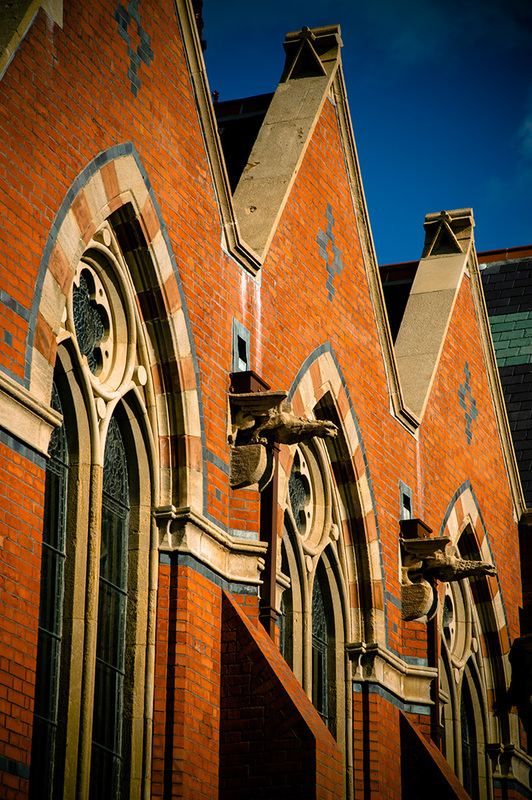 Our service, which was undertaken under Listed Building Consent, in keeping with conservation best practice, included, visual and intrusive inspection, opening up and assessment of existing foundations, design of remedial works (to trusses, roof timbers, chimneys), design of underpinning to facilitate lift well installation, and design of mezzanine floor around a new atrium entrance with feature staircase. 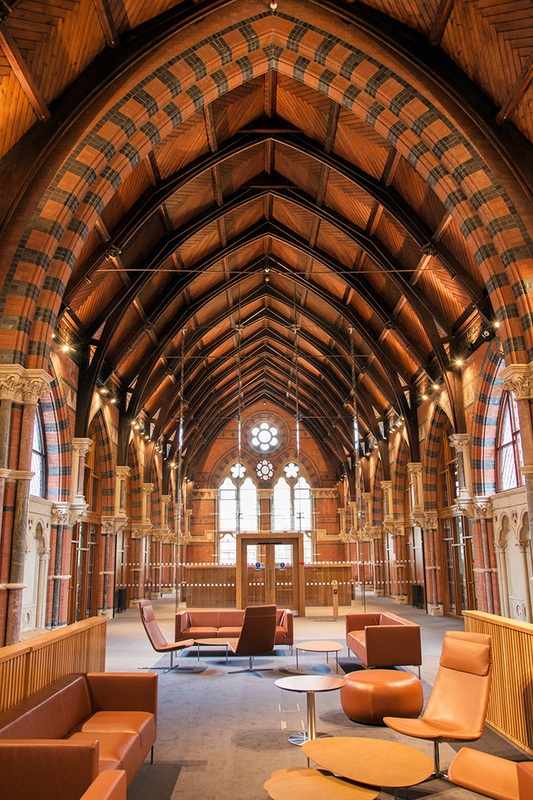 Our design included a planar-glazed wall extending to the full height and width of the galleried space to create a quiet study space which is enclosed yet maintains an open aspect providing views of the richly detailed historic walls and roof of the galleried space. 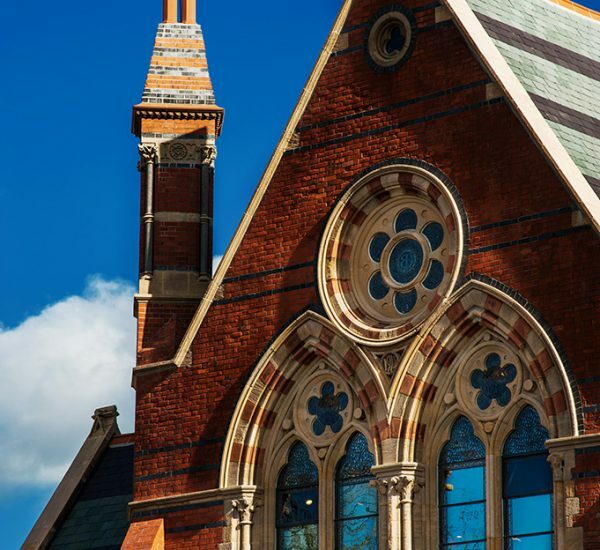 The new structural works were designed and detailed to be fully reversible and remedial works developed using materials compatible with and non-deleterious to the historic fabric.